Today we kicked off the 20 day Challenge with the "HUB of the HOUSE" - The Kitchen. We didn't have a good start to the day due to taking both kids to the Doctors...diagnosis: ear infections :( Then I needed to go to Dentist due to a "lovely" wisdom tooth giving me grief for the past couple of days! Once Master M was asleep and Miss B happy watching her DVDS...I got stuck into the kitchen! 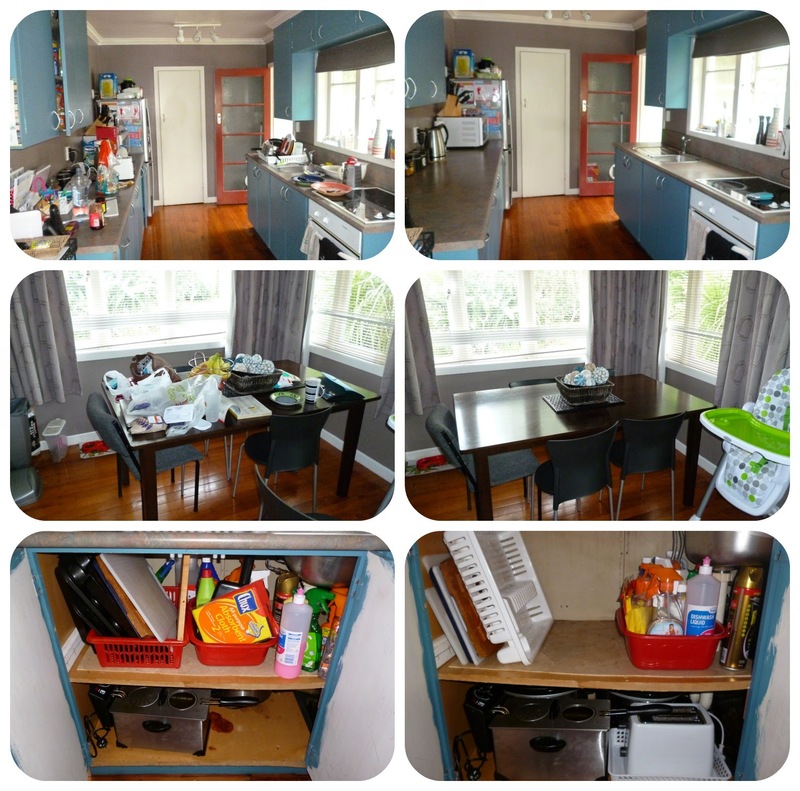 Some of the things I did: returning everything back to its proper place, clearing the dining table (tends to be the dumping ground), wiping benches down, cleaning the microwave and de-cluttered under the sink. The kitchen now looks A-mazing! It's so great coming into the kitchen and being able to see the bench (with no dishes on it)... Now...my goal is to keep it like this!